Need I ask, but have you had enough winter already? I sure have! February has been cold, snowy and for some of us dark. By that I mean the lack of lights due to much heavy snow, bending bows that lean on power line, cutting my power for several hours, and for some, days. This cold and snowy weather has also scared away what few fungi were struggling out there. There is however the ever hardy and ever growing polypores, and these I have seen in great numbers! This one came like this… is’t nature thoughtful?? 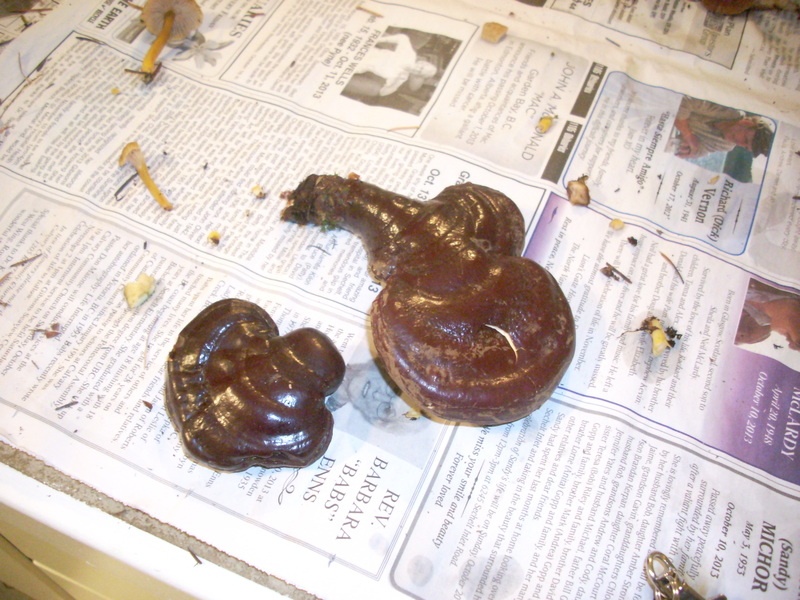 What I am waiting to find again this year is some examples of Ganaderma Tsugai, or the Red Reshi which grow here on the coast usually on Hemlock stumps and logs..This is an example of what I was finding last fall.. 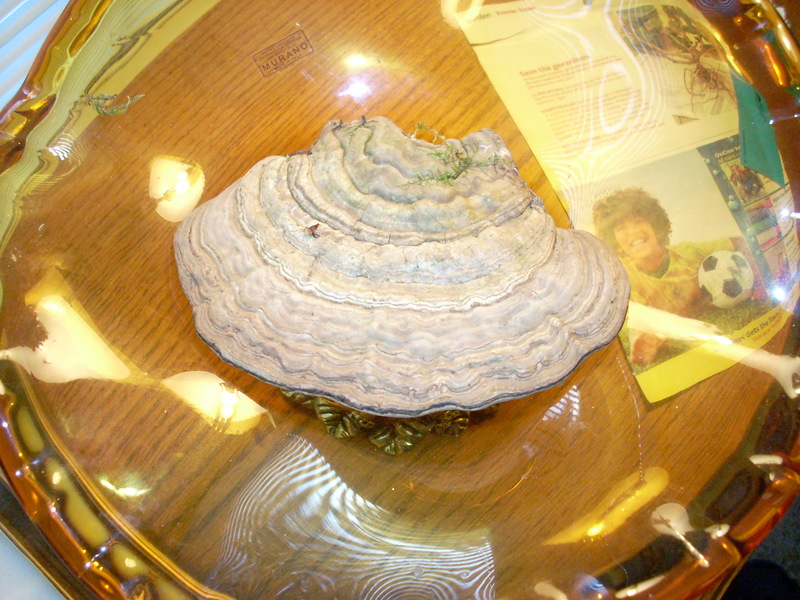 Many of the polypores have medicinal properties and have been used extensively by many cultures to cure illness; used to stop bleeding as a stypic; used to fight frost bite, act as purgative and when cut into small chunks and mix with tobacco by the northern Dene , used to treat headaches as Canadian herbalist and writer Robert Rogers says in is books. 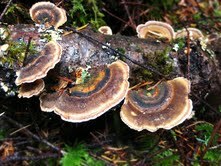 Robert Rogers, BSc, RH (AHG), FICN, has researched and written extensively on the medical properties of fungi, and much more information can be found in his book The Fungal Pharmacy – The Complete Guide to Medicinal Mushrooms & Lichens of North America, published by North Atlantic Books, Berkeley, California. 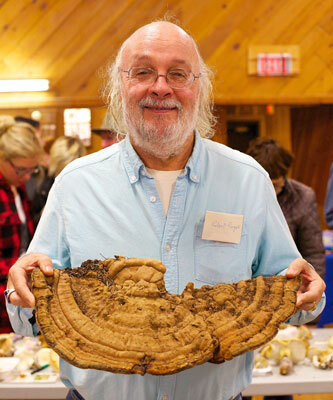 It just so happened that Robert visited the coast last October as the guest Mushroom Expert at the SCSHROOM mushroom festival. 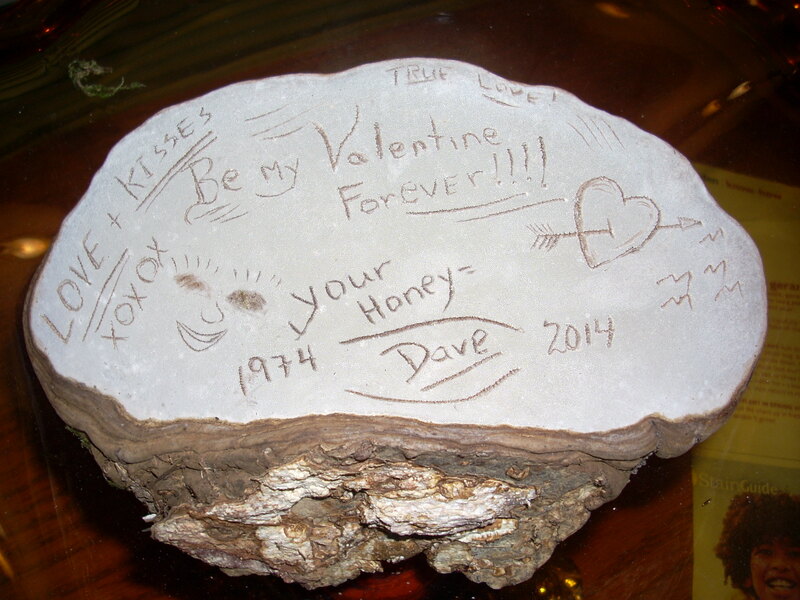 He spent four days here, doing forays with members and the public as well as giving two lectures highlighting the local medicinal mushrooms found here on the west coast of Canada. My wife C and I were fortunate to have Robert stay with us for the weekend and he proved to be an very interesting and knowledgeable guest. His web site is…. http://www.selfhealdistributing.com/earth-medicine-consulting/&#8230; for those who may want to read more about him. As well, if any of you readers are interested in the subject of alternative health approaches, or just interested in reading and learning more about the medicinal properties of mushrooms, the Mycological Society that I am a member of, SCSHROOM, has a number of these books for sale. They are priced at $30 Canadian, plus whatever shipping or mailing costs may be. That’s it for February, and winter, I hope. I have great expectations for March, as that delicious and elusive fungi, Morchella elata and Morchella esculenta, better know as Morels have been found to flush as early as March and April in warmer climates. Good hunting and hope to see you in the field some day( but not in my special place where the best edibles are found).